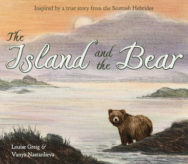 In this exclusive article Leah McDowell, Design & Production Manager of current Scottish Publisher of the Year Floris Books, takes us behind the scenes of her job to show how working with top international illustrations brings about beautiful new artistic interpretations of traditional Scottish tales for children. While the cross-cultural exchange between publisher and illustrator is mostly straightforward, on occasion Leah has been tasked with explaining what clootie dumplings, stooshie, and other Scots words are in her illustration briefs! Illustration has a language of its own. No matter your cultural background or native tongue, human emotions are the same the world over. An illustrator’s job is to evoke that common emotion. Significantly for my job, an illustrator’s work isn’t limited by geographical borders. As Design Manager of award-winning children’s publisher Floris Books, I spend a lot of time searching out new illustration talent. The UK has a wealth of emerging illustrators, many of whom can be found at art college degree shows and through conferences and exhibitions run by organisations like Picture Hooks. We also discover new talent through our own Kelpies Design and Illustration Prize, established in 2014 as a creative platform for emerging and established artists in Scotland to have their work recognised and celebrated. Although Floris Books is Scotland’s largest children’s publisher, we are location-agnostic when commissioning illustrators. This is, of course, much easier in the digital age where the internet enables artwork to be easily showcased and has dramatically increased the discoverability of illustrators around the world. Around half of Floris Books’ children’s books are in translation, and it’s particularly rewarding to be able to work with talented and often well-established illustrators from non-English language countries – such as Eva Eriksson, Daniela Drescher, Maja Dusikova, Pirkko-Lisa Surojegin and Sanne Dufft – bringing their work to the English-speaking world sometimes for the first time. Additionally, people are often surprised by how many non-UK-based illustrators we work with for our Scottish children’s books, the Kelpies. 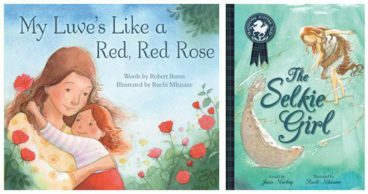 Ruchi Mhasane, who lives and works in Mumbai, has illustrated two quintessentially Scottish books: folklore tale The Selkie Girl and My Luve’s Like a Red, Red Rose, a re-imagining of Robert Burns’ famous poem. 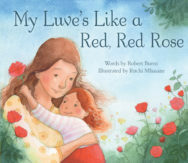 Ruchi’s artwork is both lyrical and emotive, and her unfamiliarity with Burns’ poetry actually worked to our advantage as she was able to beautifully reframe the romantic poem as an expression of love between a mother and daughter. It’s true that there’s often more that unites than divides us and our international illustrators have commented how they often see their own culture reflected back at them in our Scottish books. Vanya Nastanlieva’s soft but arresting portrayal of a bear in The Island and the Bear captures the muted, heathery tones of the Scottish Hebrides whilst also evoking her native Bulgaria. 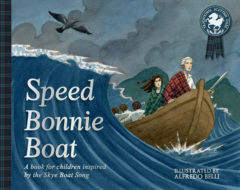 Likewise, Italian illustrator Alfredo Belli connected with the themes of war, courage and rebellion when he worked on the Bonnie Prince Charlie story, Speed Bonnie Boat. That said, some of our international illustrators occasionally need a bit of guidance on the more obscure cultural references in our illustration briefs! I’ve had to send reference photos of clootie dumplings, Lewis chessmen and a tartan cat, as well as explain Scots words like stooshie, numpty and bahookie – often to the illustrator’s great amusement. At a time when print sales are buoyant and we’re arguably experiencing a golden age of illustration, more than ever people desire beautiful books to discover, love and treasure – no matter where in the world the illustrations come from. It’s a privilege to be part of that discovery. 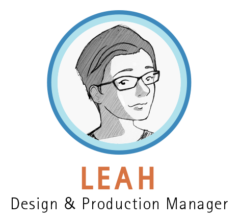 Leah McDowell is Design & Production Manager at Floris Books and recipient of the inaugural Saltire Society Emerging Publisher Award. She is passionate about bold typography, good kerning, and championing the work of illustrators. 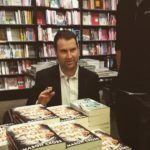 If you enjoyed this article then you might like this, When Is An Author Not An Author? When She’s An Illustrator, also by Leah on Books from Scotland. 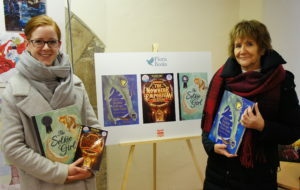 Floris Books is an independent Edinburgh publisher best known for its Scottish and international children’s books. 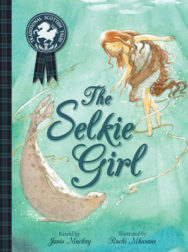 Floris Books is the current Saltire Society Scottish Publisher of the Year.